An old proverb says that money, expensive gifts and physical valuable possessions are not everything in life. Health, a happy and supportive family, fun and reliable friends and a certain piece of mind are often considered of higher importance. And it is true. We can’t compare buying a TV or a car to the satisfaction one experiences at graduation. Or the joy one feels at the birth of a healthy child for instance. But the smile a woman has on her face when she receives a rose or when she tastes a good glass of wine is important as well. The joy and sparkles in children’s eyes when they receive a new toy that will fuel their imagination every day mean the world for many. It is not about spending money to buy expensive branded objects. No, it is about choosing the right gift for the right person. Finding the one thing that will make a person truly happy and will trigger a pleasant feeling or reaction in someone’s heart and mind. The art of gifting is not something you are born with. It is something you acquire. It takes time to get to know the receiver, to discover his or her passions and triggers for real pleasure. 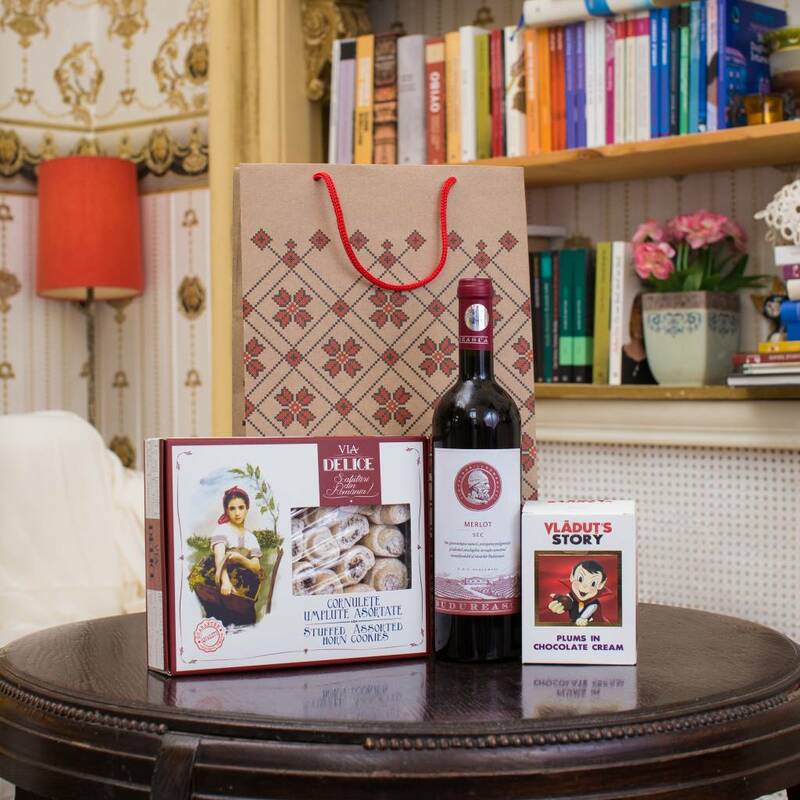 In Romania, like in many other countries, I must admit that we have a rather strong culture of gifting. Indeed, gifts are important. On special occasions like birthdays, 8th March, Easter, Saint Nicholas or Christmas, it is of current use for instance to buy women flowers, chocolates, jewelry or clothing. Men often appreciate a good bottle of alcohol. Some candy and funny toys will always please children. It is a good idea to buy a good book for people who like to read, a movie ticket for cinema lovers, a painting for an art lover, a nice decorative piece for someone who moves into a new house and so on and so forth. In order for a gift to be truly appreciated, it must be linked to one’s character, personality, desires and passions. Gifts are not supposed to be neutral and exchangeable. They are supposed to touch one’s heart and create enjoyment and happiness. When we offer a gift to someone, our purpose is to show our appreciation for that person, our generosity. However, we don’t always know very well the people we are gifting. Or we don’t always have the time to search for and find the right gifts. So, what do we do in these cases? What solutions do we have to find the right gift in a couple of minutes? If you want to leave a good impression, never compromise on quality. Given my Romanian origins, I also like to show my support to local businesses and encourage buying products made in Romania. Especially if they are qualitative. I have already spotted a few offers on the Art & Craft online shop that I know would please my friends and family, both in Romania and abroad. A good option is to opt for yummy pastries, biscuits, chocolate or sweets. Accompanied by a good bottle of still red wine. Any couple enjoys a good glass of wine and a sweet bite. 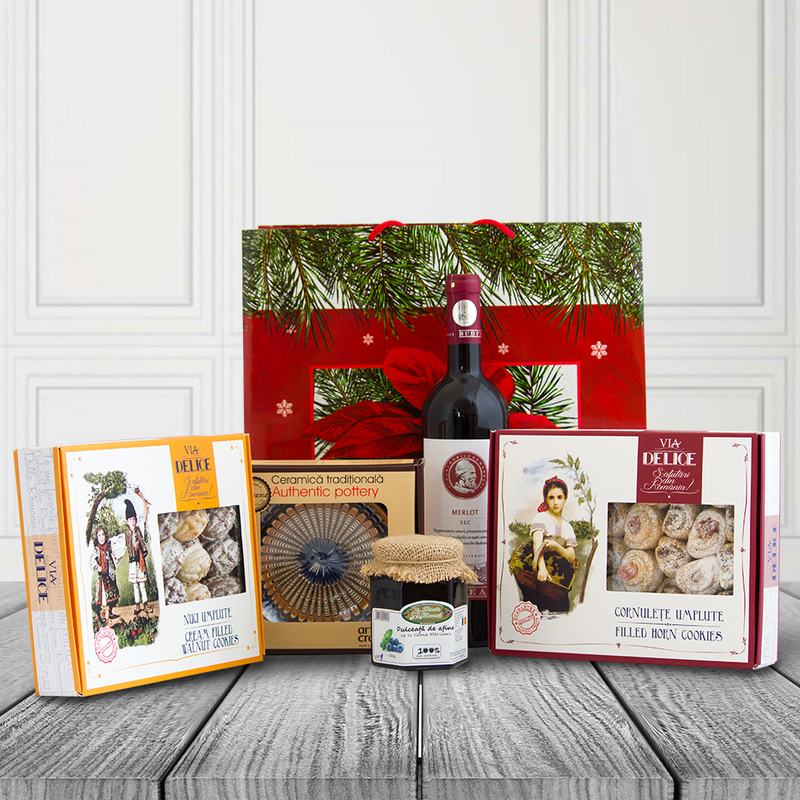 “Taste of Romania” and the “Traditional Box” are adequate gifts for parents or friends on any occasion. 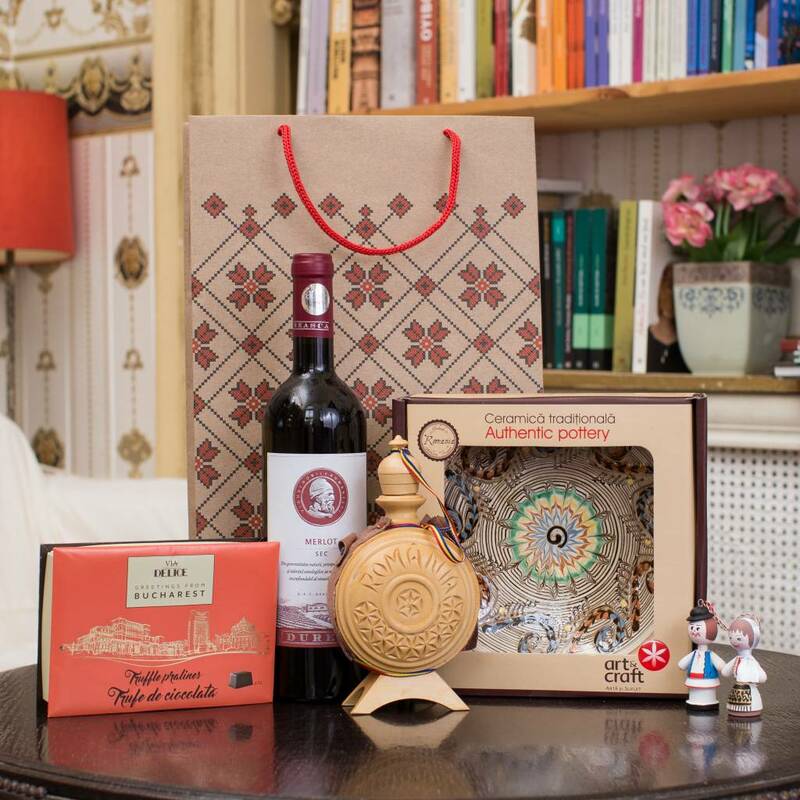 For couples who are more into traditional values, manual arts and craftsmanship, buying a gift set like “Romanian Folk” is a sure value. This kind of gift is particularly adequate when traveling and going to see friends or family members who live abroad. Because they don’t easily have access to this type of products. 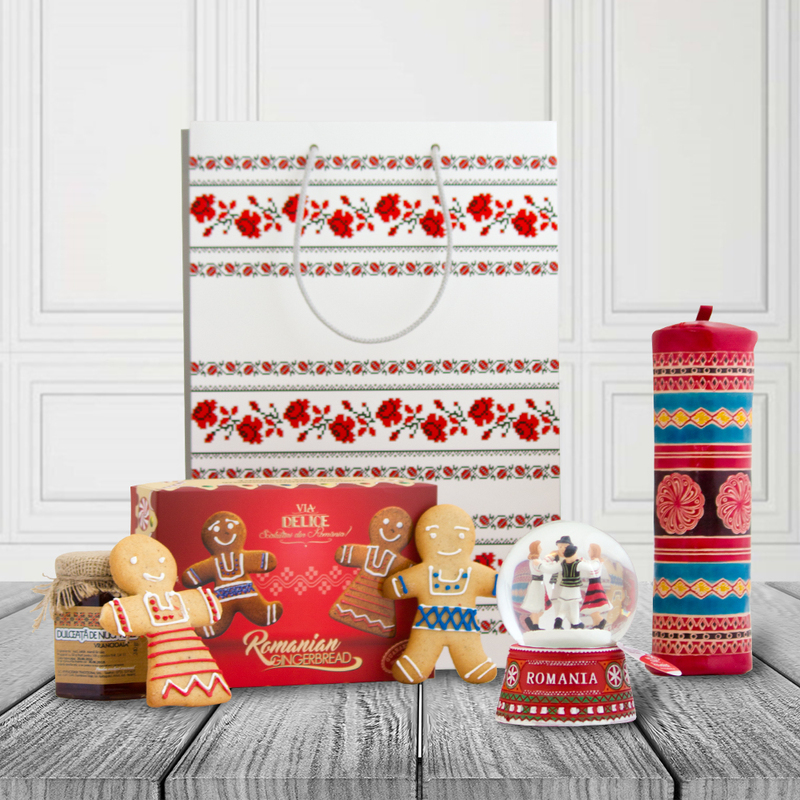 Finally, if you want to please families with children and receive a smile in return, a gift set with nice and funny-shaped biscuits or ginger bread, a colourful pencil case and a musical globe will surely be the right choice. 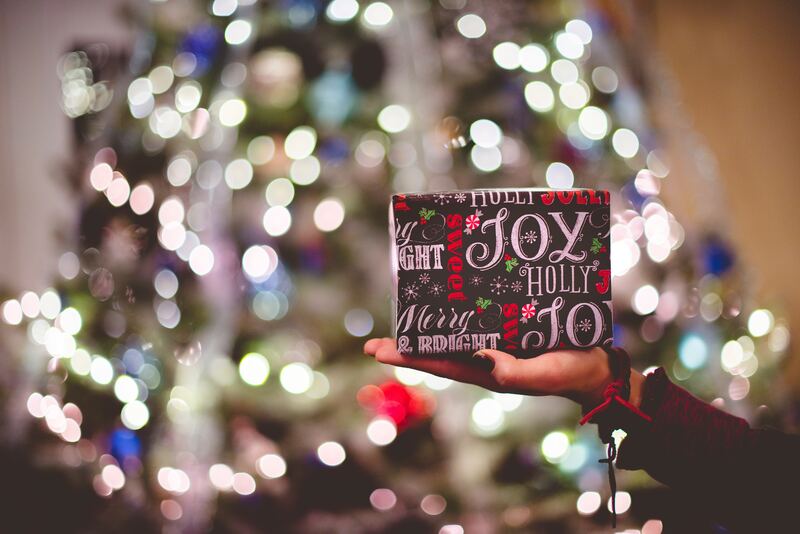 I am sure that if you follow these guidelines, you will always offer the right gift. More info about Art & Craft here and on their website www.artandcraft.ro.